Skill acquisition, the labor market adjustment and economic impact of immigrants and immigration policy, and the human capital and labor market behavior of racial, religious, and ethnic groups. Barry R. Chiswick, a renowned economist whose seminal research on labor markets and immigration has helped inform the nation’s public policy debate joined Columbian College in January as the new chair of its Department of Economics. A former economist on the President’s Council of Economic Advisers, Chiswick came to GW from the University of Illinois at Chicago (UIC), where he served as a distinguished professor and founding director of the UIC Center for Economic Education. Author of 14 books and more than 160 scholarly articles and book chapters, Chiswick’s areas of interest include skill acquisition, the labor market adjustment and economic impact of immigrants and immigration policy, and the human capital and labor market behavior of racial, religious, and ethnic groups. His published public policy analyses have led to appearances before the U.S. Congress and consulting work for U.S. government agencies and international organizations, such as the World Bank. Chiswick received a PhD in Economics with Distinction from Columbia University in 1967, and has held permanent and visiting appointments at UCLA, Columbia University, Stanford University, Princeton University, University of Chicago, City University (New York), Hebrew University (Jerusalem), Tel Aviv University, the University of Haifa, and Ben-Gurion University. From 1973 to 1977, he was Senior Staff Economist on the President’s Council of Economic Advisers. 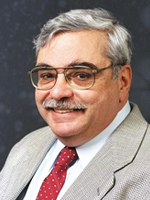 In addition, he served as chairman of the American Statistical Association Census Advisory Committee and past president of the European Society for Population Economics. He is currently Associate Editor of the Journal of Population Economics and Research in Economics of the Household and is on the editorial boards of four other academic journals. Since 2004, he has been the Program Director for Migration Studies at the Institute for the Study of Labor in Bonn, Germany. Chiswick has received numerous awards for his work including a Fulbright Research Fellowship, the Senior University Scholar Award from the University of Illinois, the Carleton C. Qualey Article Award from the Immigration History Society, the Milken Institute Award for Distinguished Economic Research, the Marshall Sklare Award from the Association for the Social Scientific Study of Jewry, the 3M Economic Education Excellence Award from the Illinois Council on Economic Education, and an honorary doctorate from Lund University in Sweden.